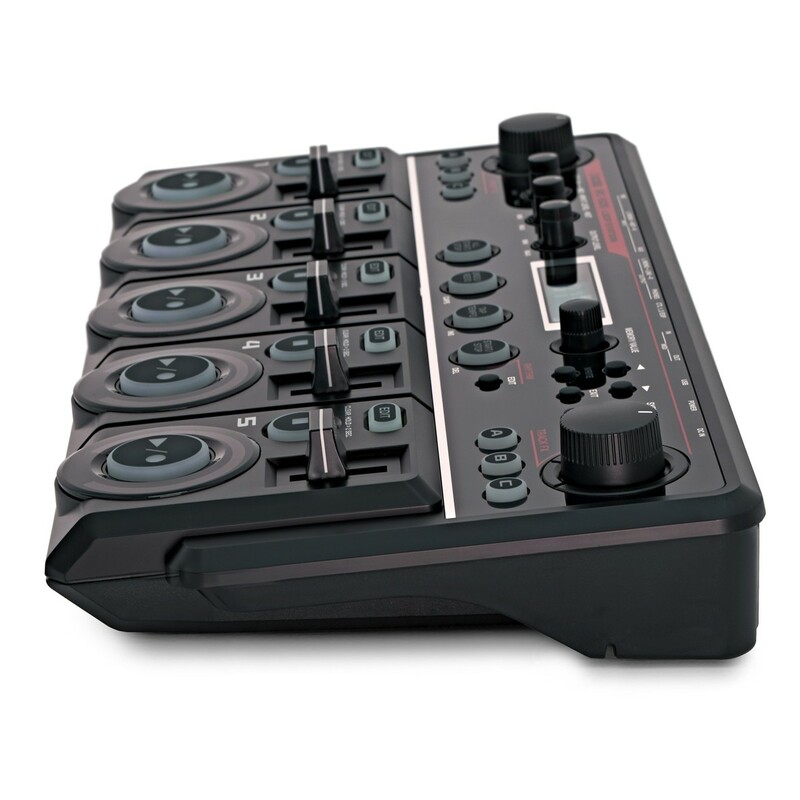 The Boss RC-505 Loop Station is a powerful tabletop looper for beatboxers, singers and instrumentalists, and for performers who need total control at their fingertips. 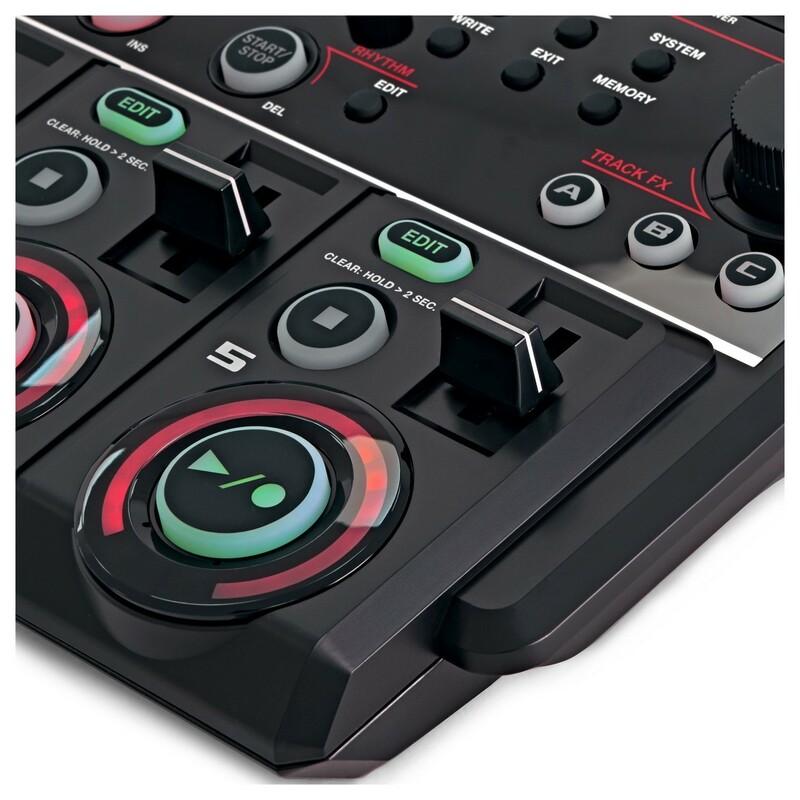 The RC-505 Loop Station fits right into a busy DJ or club environment, as well as being ideal for stage and street performances. 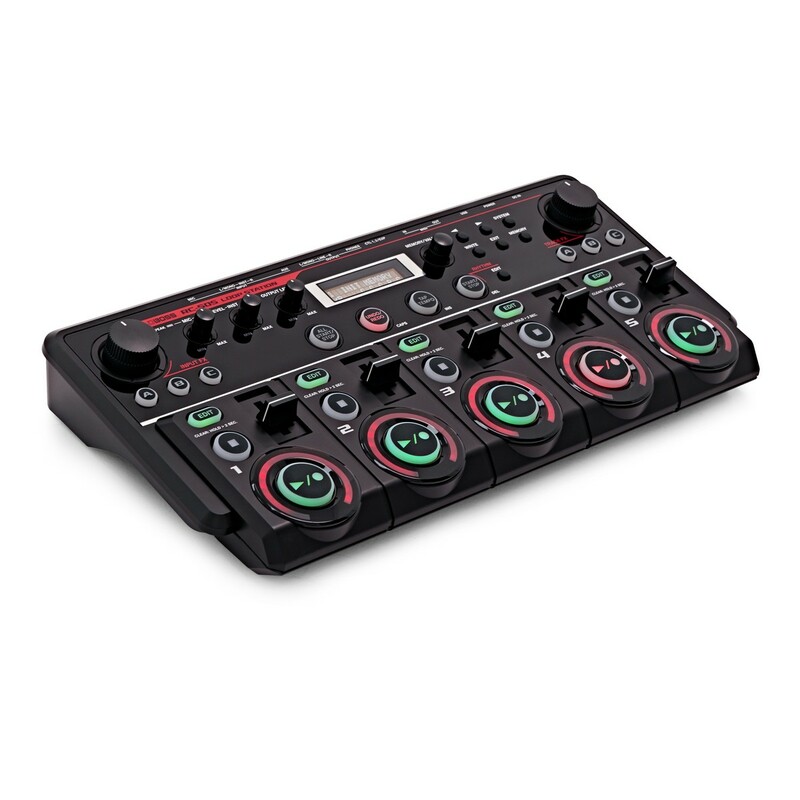 As the latest edition to the Loop Station range of products, the RC505 is packed full of features you need such as 5 stereo tracks, built in effects and USB connectivity. 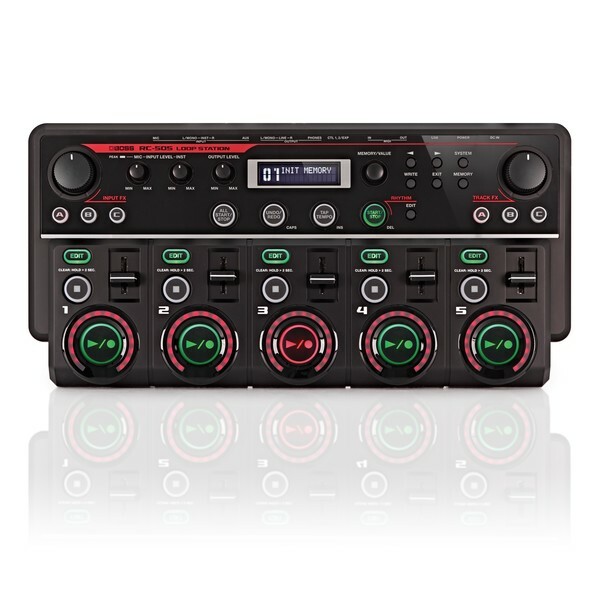 Get real hands-on control of your performance with the Boss RC-505. Dedicated buttons on each of the 5 stereo phrase tracks provide a wide range of dynamic, real-time processing options. Just plug in a mic, instrument, smart phone or any other audio source to get started. The RC-505 can play back 5 stereo tracks at once, making your performance easier to plan, build and control. Each track has its own buttons to record, overdub, play and stop, giving you precise control of your performance without having to worry about hitting the wrong pedal with your foot. Each track also has its own volume fader, while the rhythm part can be sent via the headphones, giving you a dedicated click track for monitoring and helping you keep time perfectly. Playback mode and tempo sync settings provide even more flexibility in real-time. Effective performance loopers are built around effects and the RC-505 is no exception. 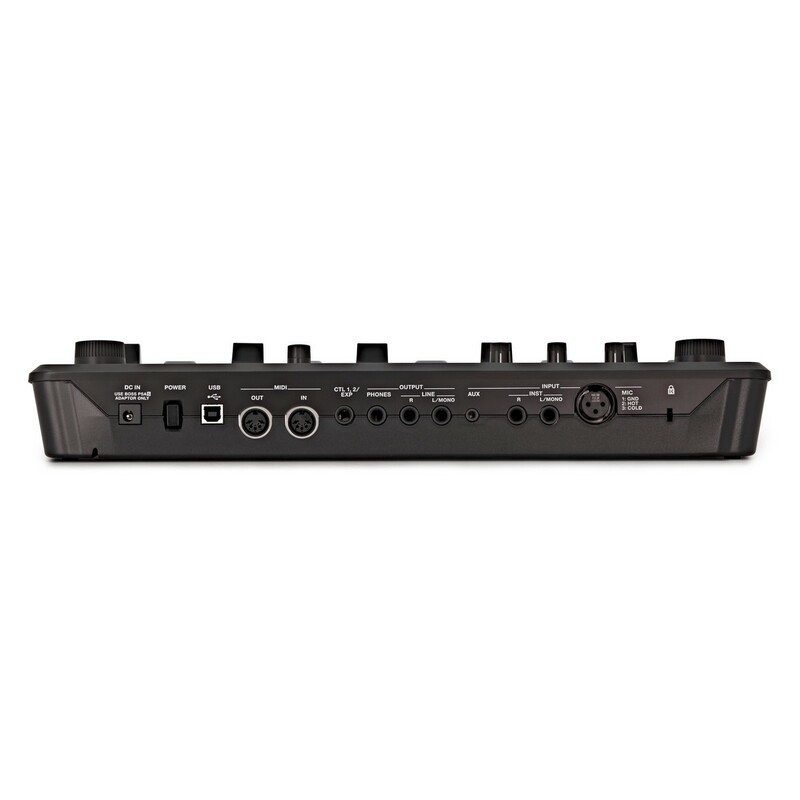 The Loop Station splits its effects into two main types, Track FX and Input FX. Input FX such as Robot and Vocoder add unique textures when recording loops, with Track FX including Vinyl Flick and Beat Repeat to provide dynamic DJ and sampler effects for real-time phrase playback processing. 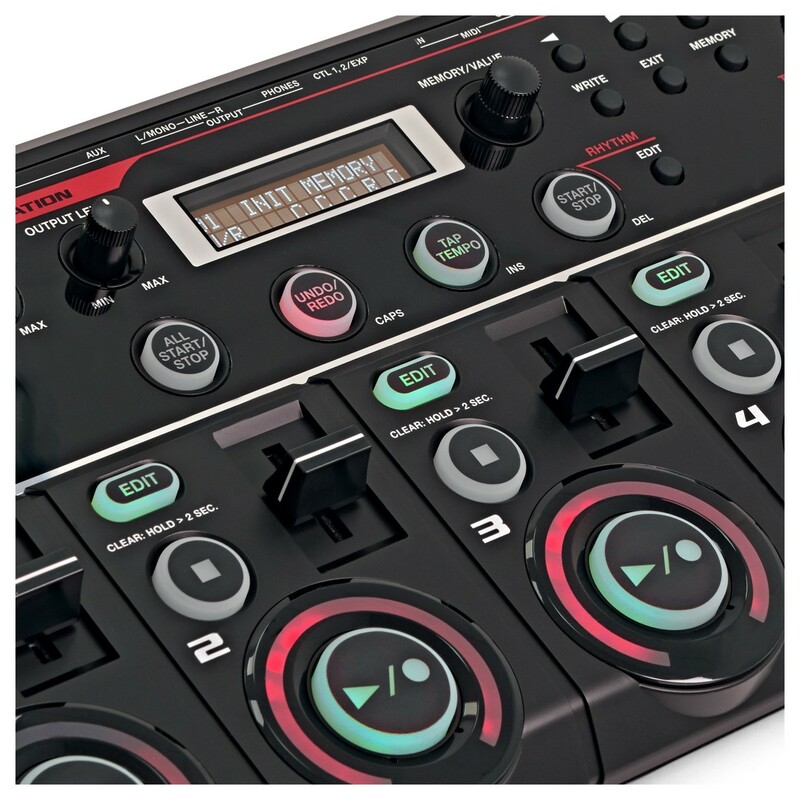 Six dedicated buttons can be loaded with your favourite effects, giving you one-touch access while looping. Tweak the effects in real-time with the Input FX and Track FX knobs. The RC-505 has 4 inputs, letting you capture and mix a variety of different audio sources as you build your loops. 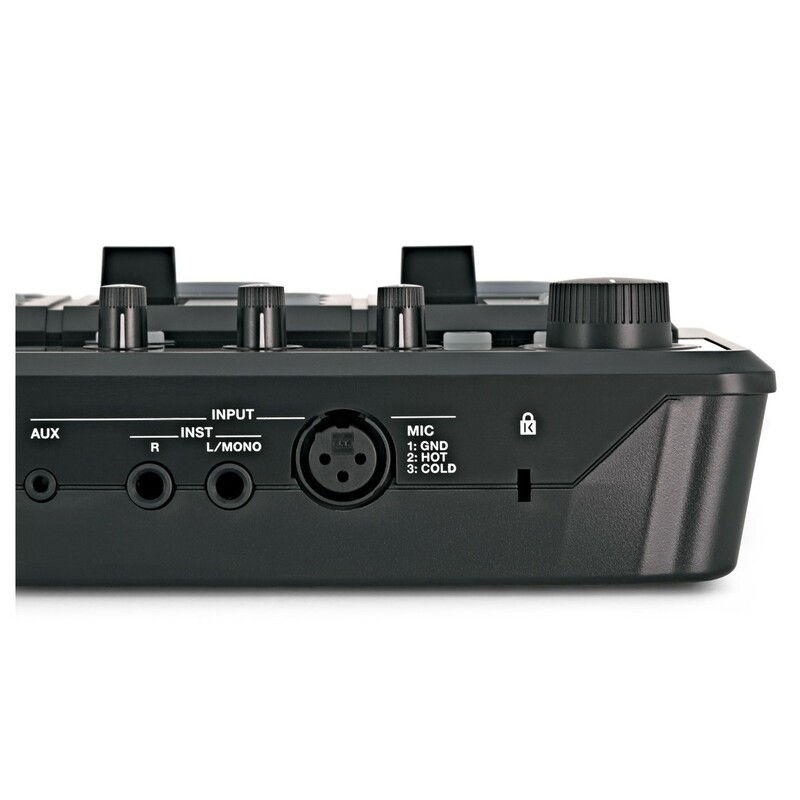 There's an XLR microphone jack with phantom power, mono/stereo instrument inputs and an AUX mini-jack to connect a music player or smartphone. Plug into your computer via USB to import and export WAV audio phrases. Mold the RC-505 to suit your performance style, customising the real-time controls to suit the way you like to loop. Eight control assignments are handily stored with phrase memories, allowing you to create and recall custom setups for different songs and performing situations. When you power up for your gig, you need to be sure that everything sounds just as good as it did in rehearsals. The RC-505 Loop Station's 99 phrase memories provide onboard storage for phrase track data and their various playback and effects settings. Easily load a User Set, even in the heat of performing.